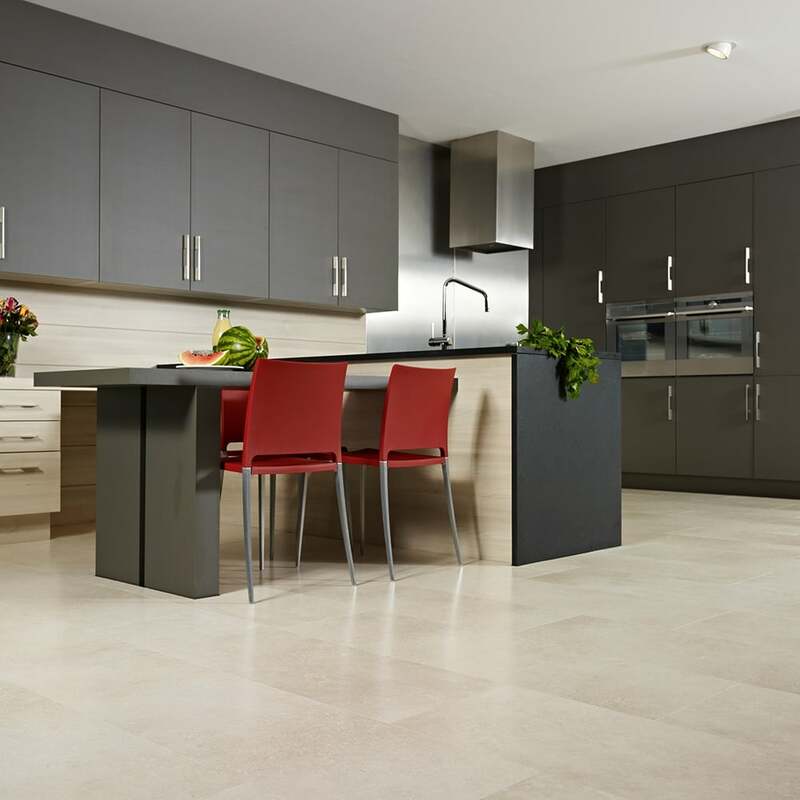 Balterio Purestone Limestone White 641 is a unique laminate, which incorporates all the advantages of a laminate floor with the appearance to natural stone slabs. These large uniformed boards have a v groove on all 4 sides. With its light coloured board and replica of tiles, Limestone White is the perfect solution to your floor in a minimalist home and will ultimately create the feeling of space and tranquillity. Each board measures 8mm thick by 392.5m wide by 1192mm long. To request a sample of this unique fabulous product click on the link. Review Summary - 4.6 out of 5 based on 8 ratings. Very nice sample of wood tile, and a bonus of a sample of the underlay for the tile. Good large tile to look at clearly and brilliant packaging, very fast delivery. Lovely product and arrived on time with lots of extras which offered me more ideas for the room. Good and quick delivery of sample but not the colour I was expecting. Orderd a sample of this flooring and it looks great so will be purchasing for my sitting sitting room/ kitchen! Looks great, easy to fit and really reasonably priced. Only reason I didn’t give 5 stars is because it’s a little bit slippy under foot but that might be just because it’s only just gone down. Overall we love it! These tiles are absolutely stunning down. I have them in my large open kitchen and it makes it feel very modern and fresh.